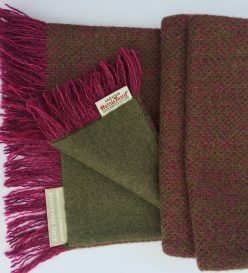 Category: Scottish Cashmere and Harris Tweed Scarf. 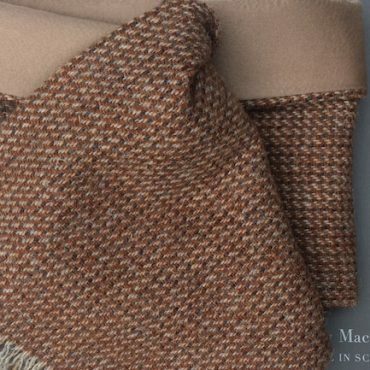 Tags: Harris Tweed, Scottish Cashmere. 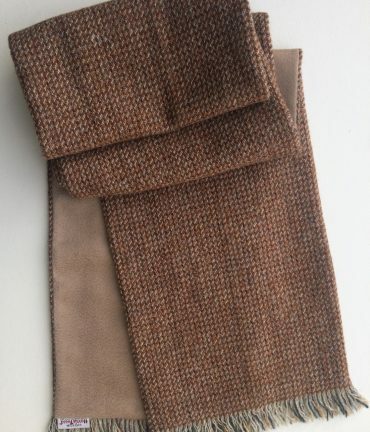 Our Brown Trout scarf is made in subtle shades of brown, grey and camel, a winning combination of Scottish cashmere and tweed. 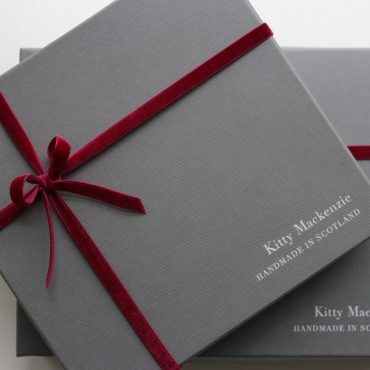 Suitable for men and women, handmade in Scotland. 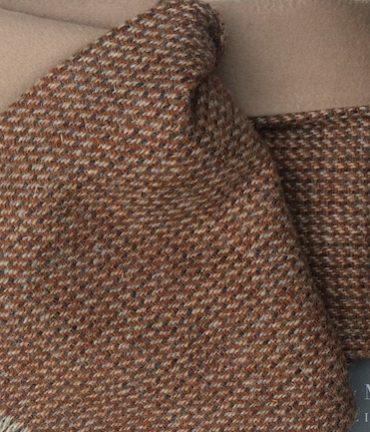 The cashmere side sits soft against the skin, whilst the stylish Harris Tweed faces out providing extra warmth and body, and of course excellent protection against the weather. 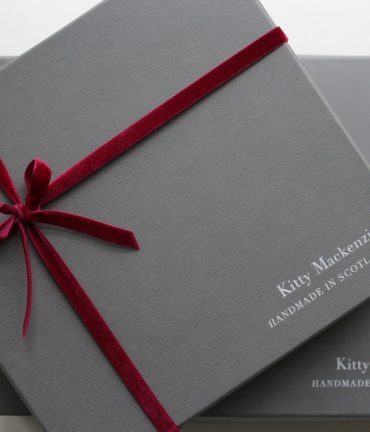 This scarf comes packaged in a beautiful handmade grey gift box, as shown. 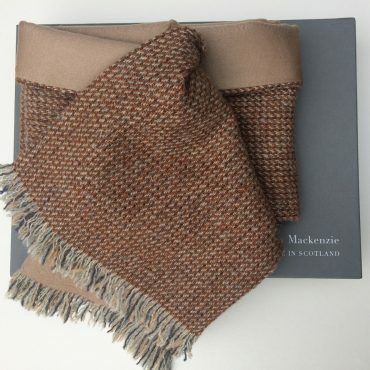 Not only for fishing enthusiasts, our Brown Trout scarf is a winning combination of Scottish cashmere and Harris Tweed, handmade in Scotland. 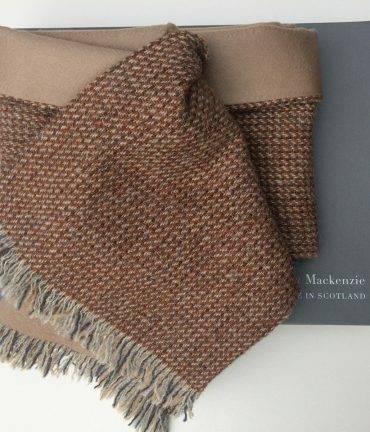 The ultimate Scottish scarf incorporating beautiful shades of brown, grey and camel. 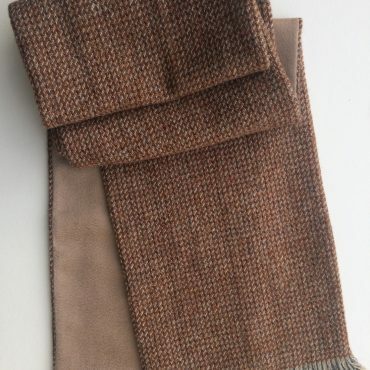 ONLY ONE LEFT – EX DISPLAY.